We offer whole or quartered 5 to 6 pound Cornish roasting chickens that meet the following criteria. 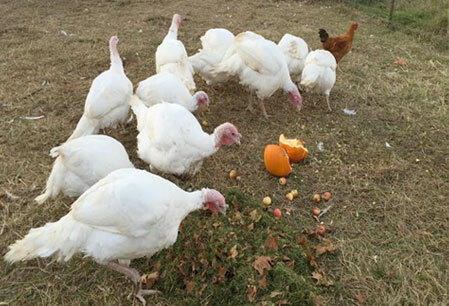 We offer whole turkeys throughout the spring, summer and fall seasons. 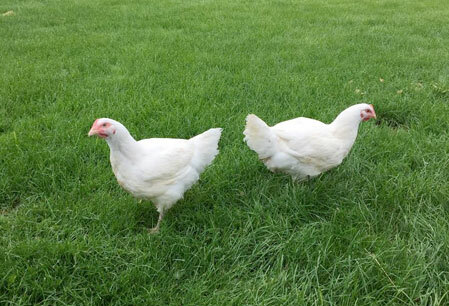 This year we will be offering a smaller white turkey in addition to traditional large Broad Breasted White. Along with our chicken and turkey we also raise pork, lamb and goat. Below is an explanation of the terms that the Cornell grant supported project “The Meat Suite” uses to describe the different methods of raising meat on the farm. 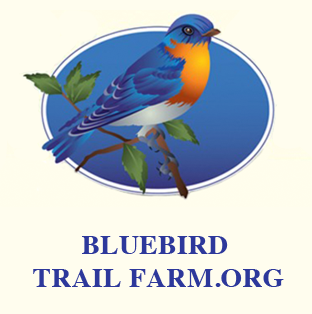 On Bluebird Trail Farm we raise on poultry on pasture, and except for the two weeks they spend as chicks in the brooder house they have constant access to sunshine, fresh water and pasture. Our pork is raised also on pasture, Free Range with a constant supply of compost materials (potato peels, apple cores, garden leftovers). Sheep and goats are almost exclusively raised on pasture with the addition of hay and some grain. The USDA’s definition is only “minimally processed“. The term is commonly used on products raised without antibiotics in the feed or hormone implants. Certified organic meats require certified organic feed, certain humane treatment of the animals, and the processing must be done at a certified facility. Antibiotics and artificial growth hormones are not allowed. Despite this definition, use of the term may include animals which are fed some grain. In an effort to differentiate from grain-fed products, the term is sometimes prefaced by 100% or “strictly“. The definition also varies widely. Some programs offer their own definition as “certified“. Generally, these terms imply that the animals have access to the outdoors and are less confined than conventional commercial production. Subject to specific protocols and third party inspections. For example, “certified organic” or “certified humane“.